There are few ice creams and gelatos I consider winter. Why should summer have all the fun?! A few will unfold in the coming winter months. Though I am not a fan of booze in ice cream and gelato, I take an exception with rum raisin as I mentioned in my post Madagascar Vanilla Bean Banana Ice Cream. Rum raisin was on my ice cream bucket list, and I let too much time lapse without scratching it off. This Thanksgiving I was thrown a curve ball, I have to reinvent my Thanksgiving menu, gluten free. I call it Thanksgiving, re-imagined! One of our guests who is coming for Thankgiving and staying the long weekend has a severe gluten intolerence. As I embarked on a mission mostly to bake gluten free breads and desserts, it was interesting finding out about xanthan gum. As I mentioned on twitter it does not sound too healthy, but turns out that only the name is nasty. I was appalled at its steep price tag, but the cheaper alternative guar gum is extracted from an unfamiliar to us tree. Would it trigger an allergy?! As you must know we have tree nut allergies and this space is tree nut free. When it came to finding recipes that are gluten free, I found many used tree nut flours as a substitute, so it was a no go! I was trying to brainstorm and cram much education on the subject within a couple of days and just couldn't wrap my head around it. Naturally, as I love churning ice cream and gelato, I thought it was an easy solution to stay within my comfort zone and an opportunity to tackle a rum raisin ice cream that I have wanted to make forever. I churned a trio of frozen ice creams for this Thanksgiving and will serve my guests a scoop of each in a tasting sampler. Wonderful make ahead, one boozy and all delicious frozen treats for the holidays!! Happy Thanksgiving!! 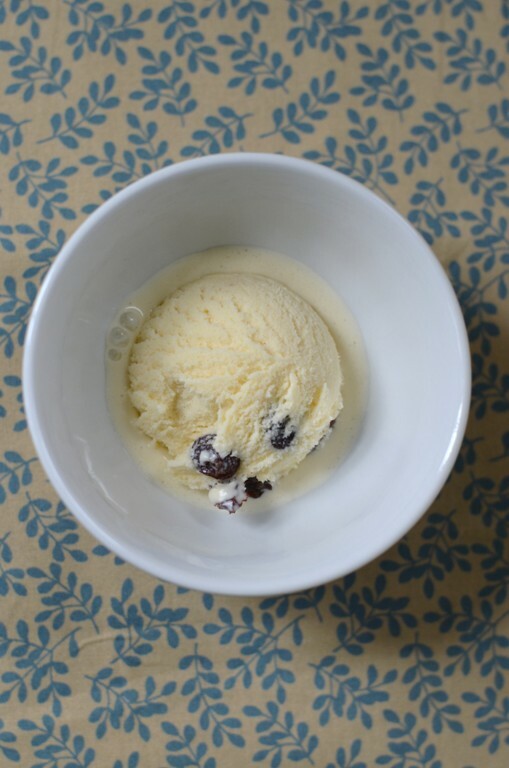 Make sure to read entire recipe and cook's notes before making rum raisin ice cream. Add rum to raisins into a small sauce pan on high heat. Take off the heat when rum/raisin mixture starts to boil. Let cool and keep soaked for two hours The raisins will be beautifully plump and boozy. Drain raisins and keep both raisins and rum refrigerated separately overnight. Whisk egg yolks in a bowl. Add the milk and sugar into a medium sauce pan on low/medium heat and mix until the sugar dissolves. When you see bubbles appearing around the edges of the pan, pour a couple small scoops of milk into egg yolks while whisking to temper egg yolks. Add the yolk/milk mixture into the milk pan and continue whisking on low/medium heat until a light custard is formed. This process takes about ten minutes. At this point take custard off the heat and let cool. Add the whipping cream to the cooled custard mixture, mix, and chill overnight. 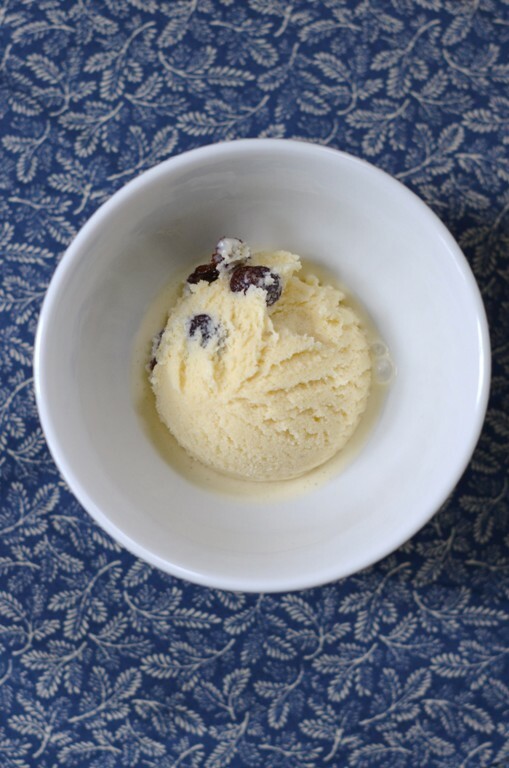 Next morning, strain the custard through a sieve and add the rum (about 6 tablespoons*) to the ice cream base while reserving the raisins to be added later at the end of the churning process. Churn in ice cream maker as directed by manufacturer. *(see note below) Takes about 20-30 minutes to reach soft serve consistency. 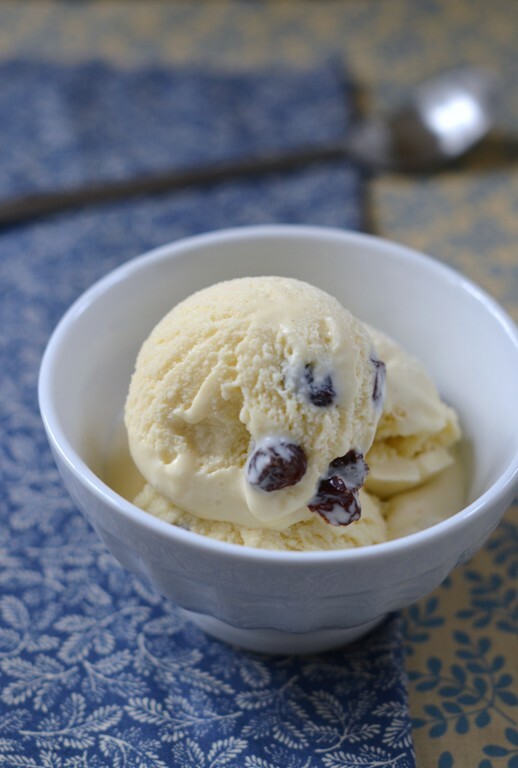 Add the strained raisins to ice cream and churn for a couple minutes longer. Scoop into an ice cream container with a tight lid and freeze for at least a few hours or until solid before serving. *Although rum technically is supposed to be gluten free, and it was so years ago, today you need to double check. We made sure the brand we used was gluten free. *Most recipes I saw called for maximum 6 tablespoons rum. You can add as little as 3 tablespoons or at most 6 as the rum flavor gets more pronounced as time passes. I also used only 1/4 cup raisins since my guys aren't huge fans. Feel free to up it to a 1/3 cup raisins. If you do, you might have less than 8 rum left after you drain raisins the next morning. *Alcohol does not freeze so it adds to the softer, creamier consistency of the ice cream. Adding a tad more, like I did, at 8 tablespoons, might get you really super soft ice cream, that melts quicker. Use your judgement and take into account your preferences. Scrumptious! I love the idea of a trio sampler dish, adorable! Lovely post ans educational. That is one of my favorite ice cream flavors! A fabulous dessert. okay, I need a snack, because that ice cream just got my mouth watering. Looks delicious! If someone has severe intolerance; don't you have to worry about cross contamination in your kitchen? I've heard it can be very hard to feed someone like that; not just in the changing of the recipes but in the fact that the products you typically use can not be that easily eradicated from your cooking environment. I'll give it to you for trying while remaining thankful it's not me. 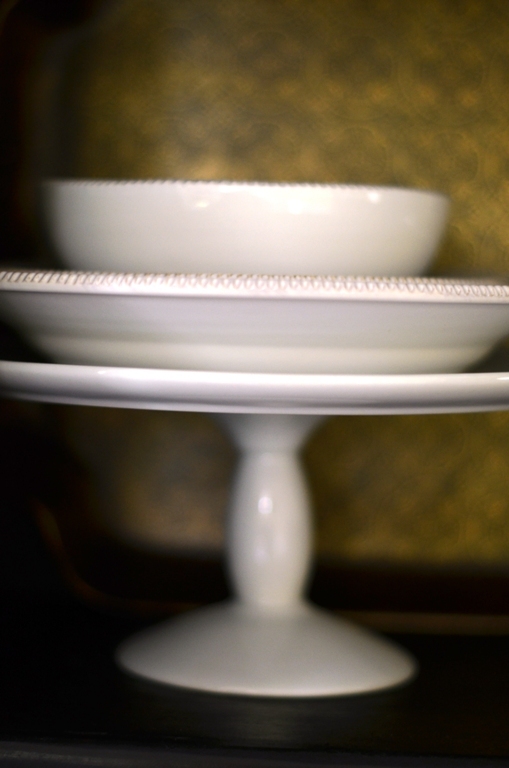 Given the option I either eliminate dishes with gluten entirely from our menu or let our guests know which ones need to be avoided if they are gluten intolerant. You know...trying to strike a balance for everyone involved. Barb, I answered your Q on twitter but pasting response here so my other readers have it as well: "Saw your comment Barb. Yep our entire weekend is going to be GF. I am well aware of cross contamination as we got tree nut allergies so even if S is away at school we still don't bring tree nuts into the house for that very fear. In regards to T-giving weekend the best I can do is just not cook with gluten all weekend. To eradicate gluten from my pantry 4 1 isolated occasion would be impossible and a tad insane. lol"
Love those boozy rum raisins! A very winter ice cream, indeed. And the idea of a sampler of three different recipes is just brilliant. What a delicious looking ice cream! Love rum and raisin! Beautiful flavours! I love the look of the ice-cream, too! 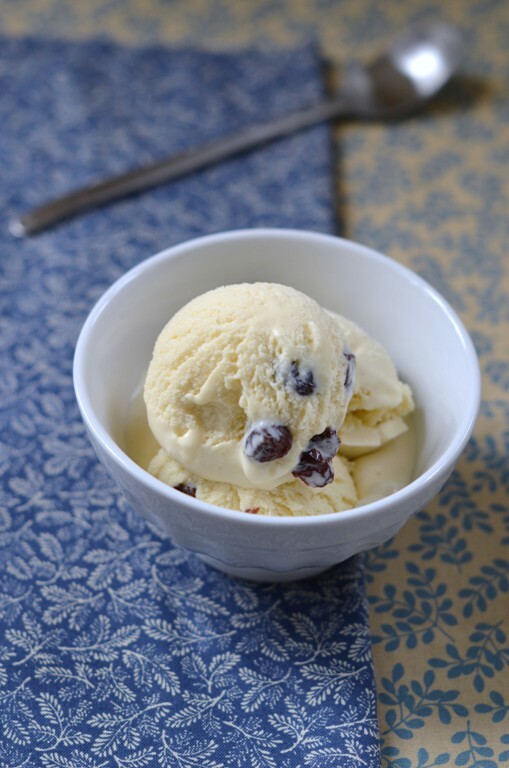 Yum, rum raisin ice cream - great alternative dessert! I am thinking that it would taste amazing on an apple crisp!!! I love making ice cream! I always get the sugar slightly off tho. Will be trying this out. Will let you know how it goes. Boy, now that is a challenge - gluten free and no tree nuts! Can't wait to see what you come up with! And I am no rum raisin fan but this looks perfect! I would even try a bowl... but it does make me want to go and whip up a batch! Sounds delicious. I'm going to try this as an affogato! 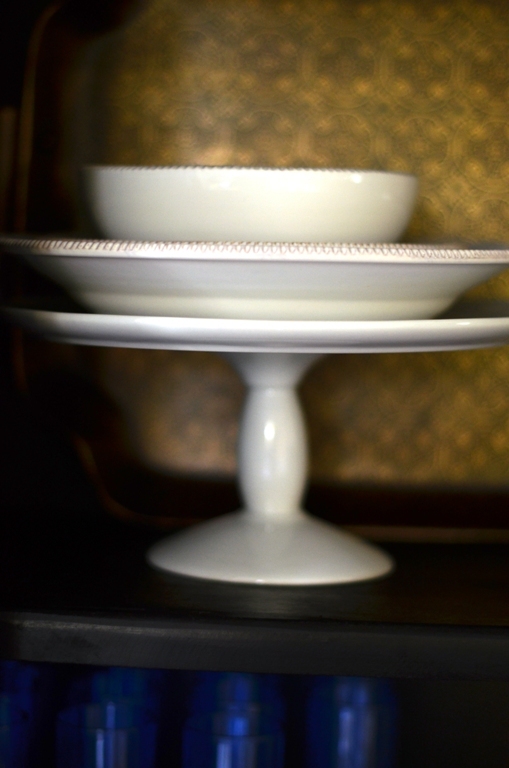 Glad you found the perfect gluten-free dessert to make Shulie! I would break out my ice cream maker for this one-sounds divine! Another favorite "winter"ice cream I love is cinnamon! Hope you have a lovely Thanksgiving! My sentiments exactly about ice cream as a cooler weather dessert. I like ice cream on warm pies ;-). Me and raisins are not best of friends, but I will try this one of course! Thanks, Shulie! Bravo to the more booze approach, I know you had it in you. Hats off to the gluten-free re-imagined feast, I would probably freak out. what a great idea! In Italy we call this ice-cream "Malaga"...not sure what the origin of the name is, but sounds exotic, no? This looks fantastic and would be so delicious with a myriad of desserts! Thanks! Mmmm.. yummy ice cream. And with rum?! OMG! I've got to get my "fix" soon! This was always my mother's favorite flavor growing up. Yours looks amazing! This is my favorite ice cream flavor. Cannot wait to make it , haven't used my ice cream maker for so long. This is a great recipe! Ooo, a tasting sampler sounds wonderful, especially if it involves rum raisin ice cream. First time here and great caption and recipes. The ice cream looks so creamy and yummy..great combo..
Hi sarenkabaking I mix it gently with a rubber spatula. You can mix it as directed here or chill the custard base overnight, strain the next morning and only then add the whipping cream, mix an immediately churn. If you wish the ice cream bro be airier and fluffier you can beat the whipping cream in a mixer prior to combining with the strained custard base. I hope this makes sense. I've got many ice creams on the site with directions if you wish to learn some more. Hi Saranka, I am super impressed with the consistency and everything about your batch of ice cream. To make it without an ice cream maker and for it to look this good is just incredible! :) I had a series on ice cream published that you will find here with more tips. I believe it's the salted caramel, vanilla strawberry swirl and the dairy free coconut chocolate ice cream. Just put ice cream in search on top right. :) The tips are in all three. I also sometimes whip the whipping cream ahead but it is it a personal preference for a fluffier ice cream.